Essential facts about the Pope for travellers. Is an audience with the Pope one of the best things to do in Rome? 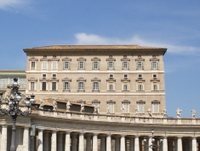 Photo courtesy of the Vatican website. Where can I get Pope John Paul the 2nd memorabilia? Where does the Pope live in summer? Between October and June each year the Pope's official residence is the Papal apartments which form part of the Apostolic Palace, a building attached to St Peter's Basilica in the Vatican City (Rome). If you stand facing the Basilica in St Peter's Square and look to your right, you'll see the Papal apartments - the top floor of a large, square block behind the statues which stand atop the colonnade. Although there are over one thousand rooms in the Apostolic Palace, there are only ten in the private apartments, one of which is the study - the present Pope, Benedict the 16th, owns over twenty thousand books. It's from the balcony of the study that the Pope delivers his Papal blessings. You'll be able to tell which window as it will be marked by the red Papal flag. 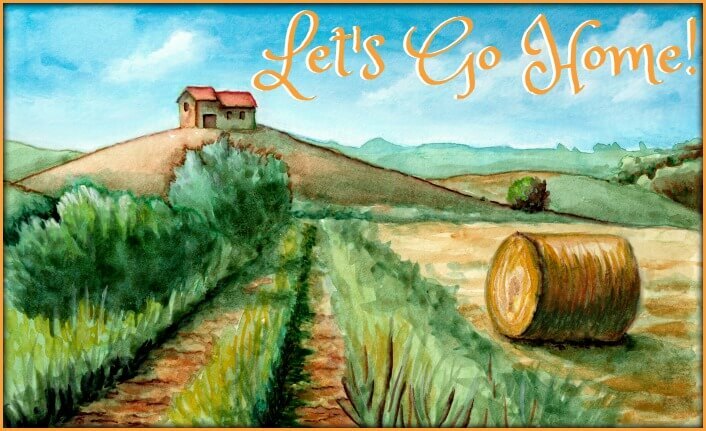 From June to October the Pope does what all sensible Italians who can, do - he moves out of the heat of the city. 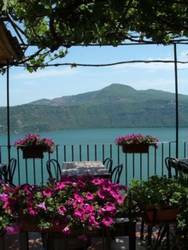 Castel Gandolfo is a tiny, very pretty little village above the clear blue waters of Lake Albano, fifteen miles south of Rome. The Papal palace, which has its own astronomical observatory and apparently spectacular gardens, is not open to the public and there's not very much to do in the village itself although there is a popular 'lido' by the lakeside. There are the inevitable Pope-themed souvenirs, cafés and a couple of nice restaurants with panoramic views across the lake (try the 'Ristorante Pagnanelli' - but not if you're on a tight budget! ), but that's about all. Summer facts about the Pope : While he's in residence, the Pope gives a blessing in the small square in front of the palace every Sunday. 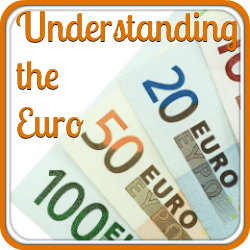 There is no charge, despite what some of the tour companies may tell you! 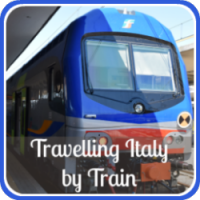 If this visit is on your list of things to do in Rome, trains from Termini station run about every hour and take forty minutes or so, but be warned - it's an uphill climb from Gandolfo station to the village. Cost is about €4. There is also a Cotral bus from the Anagnina metro station costing €1, which drops you closer to the village. Where does the Pope say Mass? It's one of the lesser known facts about the Pope that he does not only say mass in St Peter's Basilica. 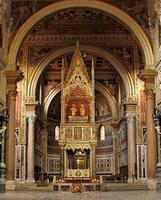 The Basilica of St. John Lateran (San Giovanni in Laterano) is the Pope's cathedral church outside the confines of Vatican City and it's not unusual for him to celebrate mass there on Holy Thursday - the week after Palm Sunday in Rome. At the two most important points in the Christian calendar - Christmas and Easter - the Pope can be seen in various locations including the Colosseum on Good Friday (no tickets required), St Peter's Square and the Basilica on Easter Sunday, (tickets required for both) and the Spanish Steps. As the Pope's calendar changes from month to month, the easiest way to find out where he is when you're visiting is to follow this link to the website of the Holy See (Vatican City). Further down this page you'll find another link which will help you book your tickets for masses and other Papal audiences. Where can I buy Pope John Paul the 2nd memorabilia? Pope John Paul the 2nd was one of the most popular and influential Popes of all time. A learned, multi-lingual man, it's one of those fascinating facts about the Pope that he was also the most travelled religious leader of any denomination in history. The present Pope, Benedict the 16th, has led the movement to 'sanctify' Pope John Paul the 2nd (i.e. to make him a saint). The process was begun in May 2011 with Pope John Paul's beatification - the stage before becoming a saint. 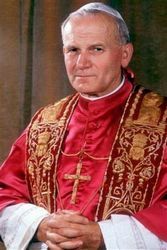 He is now known officially as "Blessed John Paul II". Papal memorabilia is available all over Rome but in particular in the roads by St Peter's Basilica. If you have looked at street sellers while shopping in Rome for souvenirs you'll have seen plastic busts of various Popes together with Papal calendars, guardian angel pins and Papal keyrings. We've even seen an electronic digital rosary! The Via della Conciliazione is the main road leading to St Peter's and is lined with religious shops which sell a larger and more tasteful collection of memorabilia, much of it devoted to Pope John Paul the 2nd and to the current Pope. It varies from small medals (both cheap and the more expensive silver and gold) to books, statues and beautiful wooden or precious stone rosaries. If you want to visit the last resting place of Pope John Paul the 2nd you will need to go down into the grotto beneath St Peter's Basilica - the entrance is inside the church. In keeping with his humility there is no ornate sarcophagus, just a simple marble slab bearing his name in Latin, Joannes Paulus II, and the years of his life, 1920-2005. How can I get into a Papal audience? One of the most popular things to do in Rome is to try to get to see the Pope - but the system for getting there sometimes seems to be shrouded in mystery. In fact, it's fairly simple. Whilst he is resident in Rome the Pope gives 'public audiences' every Wednesday (for link to masses, see above) which are free to attend but which must be booked in advance. Don't expect to be the only one there though - sometimes thousands of people attend these audiences. Be aware that there's a strict dress code for Papal audiences or masses. Shorts are not allowed, and skirts should fall in length below the knee. A head covering is not necessary, but shoulders and arms should be covered. This is one of those rare things to do in Rome when dress code is strictly enforced. Whatever you do, don't risk not being able to see the Pope because you're not properly dressed. Obviously, tickets are at a premium and you need to book as soon as you know you will be in Rome. Applications must be made in writing and must be sent by fax or mail (not e-mail). Once your application has been received and processed, you will be sent information about your audience and about where to pick up your tickets. How to do it? Simple. Follow this link to the Vatican's website, click on the left-hand 'continue' button and download the application form you'll find there. Send it - and then wait for your reply. 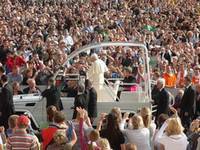 Tour operators charge sometimes large amounts of money for a Papal audience, but they are allowed only a very limited number of tickets from the Vatican. You really are better off organising the visit yourself. Make sure you stay till the very end of the audience. The Pope will give a blessing not only on you, the people who attend in person, but for all those people you know who for whatever reason can't attend. If you take medals, rosary beads or other memorabilia to the audience, this blessing means that you can give them as gifts with an assurance of the Pope's personal blessing. Just as knowing facts about the Pope isn't particularly interesting to children, bear in mind that the Papal audience isn't a great option in Rome for kids. It's noisy, crowded and in Rome's climate in summer sometimes unbearably hot. For your own and your family's comfort, make sure you know how to keep cool in Rome before you go. 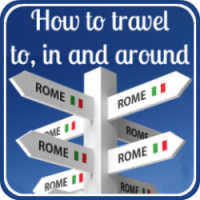 In Rome and want some out of the ordinary things to do? 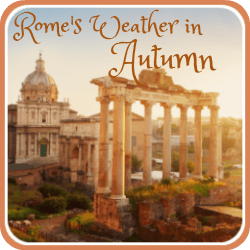 Download our free e-book about Rome sightseeing - you'll find five secret gems that other tourists won't know about! And here are some other things to do in Rome to entertain adults and children alike. Want to learn some more facts about Italy? Have a look at some fun, interesting facts you never knew you needed to know!